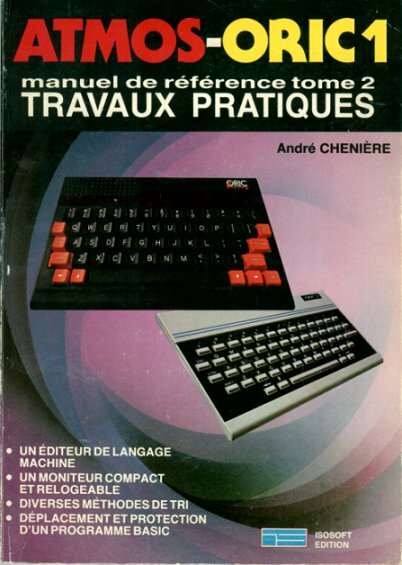 I was not aware of a second book by André Cheniere a follow up of it's first book see below until the photo found on the Telestrat sale. I saw the info at DF after posting. The only thing I can do is send a mail to the Telestrat seller to ask the new owner about that book. I just took a few pics of this book. I'll skip the cover as you already know it. One interesting thing: in the last pages, it is said that there's a tape holding all the programs of the book. Never saw it so far! Don't know where he got them but Twi had copies of both books printed out, so it looks like someone scanned them for him. Wow, this looks like something I'd love to read - any chance we can get those scans online? Don't know - I've only seen the books printed out.